This beautiful and sacred place considered as paradise since the commemorative times, in this tour you will have the opportunity to feel the tranquility of the place and to see the impressive and perfect constructions of our ancestors. At the same time, you will have the option of visiting the small native villages of the Andean culture such as Pisac, Ollantaytambo, and Chinchero. In this fertile valley, you will also have the opportunity to see different types of agricultural production, excelling white corn. We will begin our trip with the pick you up from your hotel at 8:20 a.m., and we will visit the following places. It is one of the most important archaeological sites within the Sacred Valley of the Incas, located on the slopes of the mountain 33 kilometers from the city of Cusco, composed of large agricultural terraces. The local market of Pisaq. It is the clear evidence of living culture, where you will able to see the natives of many Andean communities dressed in their typical costumes, and you will also have the option of buying handicrafts made by them. 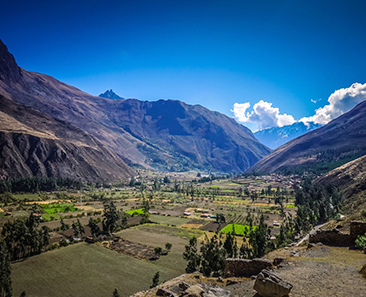 We will continue our journey through the Sacred Valley of the Incas to Urubamba, located northwest of Cusco. This is the very fertile valley where the best corn in the world is grown (white corn) and the place of our delicious buffet lunch. After lunch, we will visit Ollantaytambo. Located 90 km. from Cusco city. 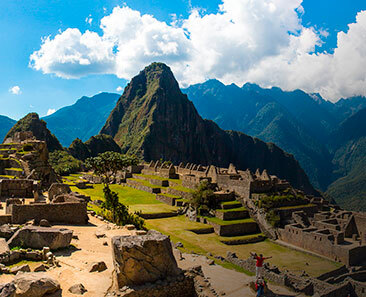 It is a village and Inca archaeological site where we can see the old buildings inhabited by the current inhabitants. Later, we will return to Chinchero. Located at 28 km. from Cusco city. It was the real estate of Tupac Inca Yupanqui, where we can see in detail the process of the Inca textile industry (spinning, dyeing, and weaving) and also the huge agricultural terraces. We include in the Tour Sacred Valley of the Incas. Pick up from your hotel for the start of the journey. Note. If you hire the private service. Mobility and the professional guide will be exclusive only for your group. Foods not mentioned in inclusions and beverages. 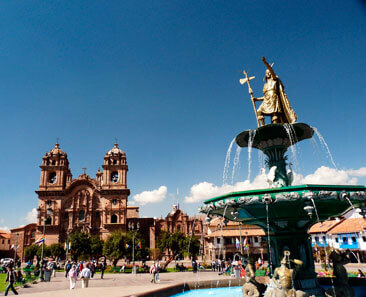 To make the Tour Sacred Valley of the Incas, we recommend that you have to be a day before in Cusco. Rates in group service between 20 people. Prices in private service (exclusive service only for your group) vary according to the size of your group. If you want to book a tour in group service, write us to the email or WhatsApp and specify the date of your tour and the number of people. US$ 10 for Peruvian student.